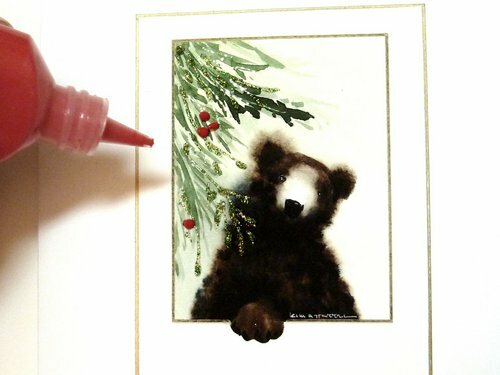 It's so easy to come up with new card making ideas that will keep you ahead of the pack with the clever crafting tools that are now available. In this demonstration you'll see how a normal element in a picture can easily be made into a standout feature. 1. 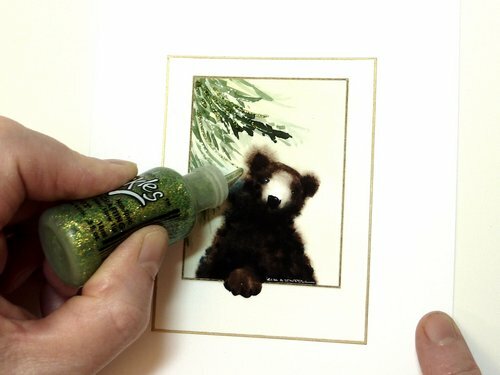 A sparkling limb is achieved by using Lime Green Stickles Sparkle Glue. 2. 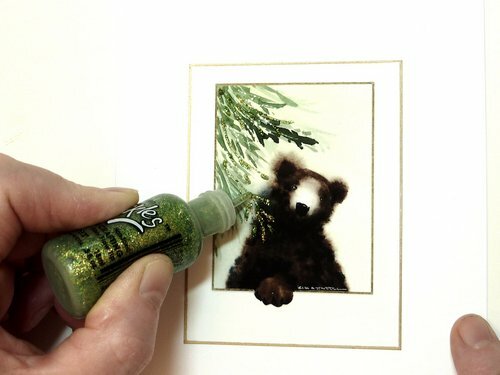 The bear in the window becomes a more interesting image when I use the glue to paint some evergreen boughs. 3. 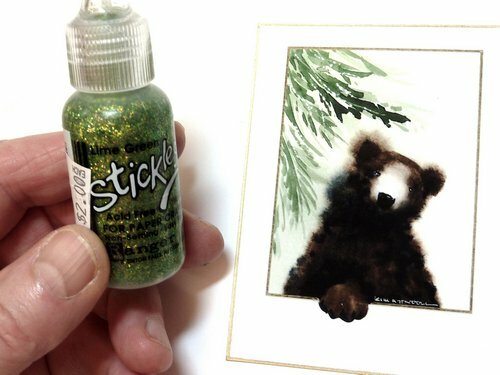 Happily, the bear, being a good deep dark brown, offers an exciting contrast to the gold and light green of the glue, so I make sure to paint some branches over him. 4. Finish this off if you wish with some raised red berries. 5. Put the card aside to dry for at least 24 hours.